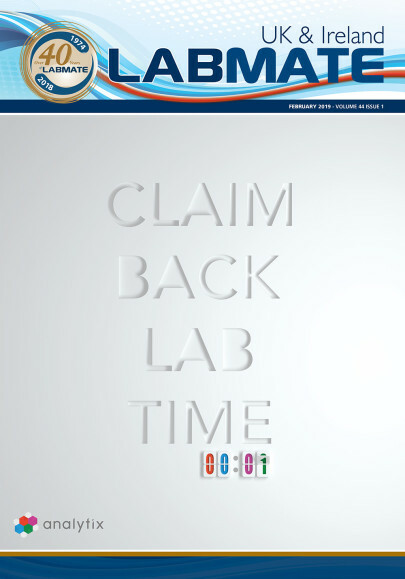 Founded in 1974, Labmate United Kingdom & Ireland is today presented in A3 Tabloid format. 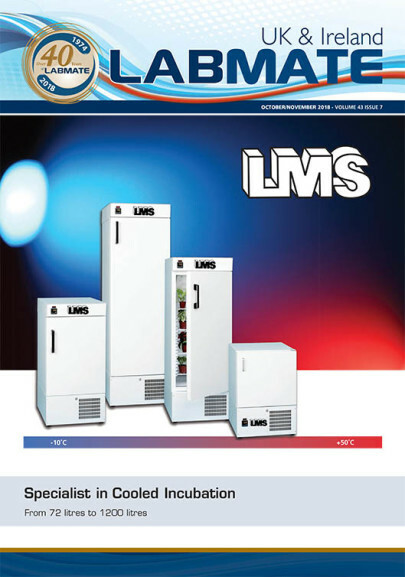 The publication contains information on the latest laboratory equipment available, along with problem-solving articles and industry news and views! The publication also provides Manufacturers and Dealers with the perfect medium to promote their products solely to the United Kingdom and Irish markets. Published 7 Times a year the journal looks at specific Spotlight features in each issue. For a full list of spotlights and features please see the dropdown menus section below. "Despite the continuing growth of digital media we still place value in the tangibility of a print publication and feel our customers do too. Labmate UK provides a comprehensive platform with a good balance of display advertising and editorial content plus the added benefit of online coverage. This makes it an excellent partner to help us maintain market visibility." "In an increasingly competitive market, Esco GB are continually looking for new and inspiring ways to communicate with our clients. The advertisement and editorial we have entered into Labmate UK & Ireland gives us the opportunity to propose a catchy advertisement backed up by the research and development we pride ourselves on." "Anachem Ltd has been advertising with Labmate UK & Ireland for many years. Labmate is great value for money and has proven to be a brilliant way of getting our message and products out to all the right people. The staff are always helpful, friendly and professional. Labmate is a pleasure to work with." "Cambridge Scientific Instruments has been advertising with Labmate UK & Ireland for several years now. The publication had proved excellent value for money and a valuable tool in building our brand. By ensuring our adverts and editorial are seen by the right people Labmate UK & Ireland has helped us generate a stream of quality enquiries."